If you receive a DUI in the state of Arizona, chances are your license privileges will be suspended for a certain period of time-that period depending upon various factors related to the DUI charge. However, if you commit numerous DUI offenses, the court may decide to permanently revoke your license. This prevents the driver from ever legally operating a vehicle within the state in question. This article will discuss the license suspension and revocation penalties themselves, how they vary based on the myriad circumstances of the DUI, the process required to reinstate your license, and how it will affect your driving future. DUI (blood alcohol concentration (BAC of 0.08% or higher): 8 points. Running a stop sign or traffic signal or failing to yield, accident causing death: 6 points. Running a stop sign or traffic signal or failing to yield, accident causing serious injury: 4 points. Driving or parking over area where one or more lanes diverge to go in different directions (gore area): 3 points. All other driving violations: 2 points. Once your driving record reaches eight points, your license can be suspended. This means that offenses like aggressive driving and DUI can result in immediate license suspension, even without prior offenses. There are, however, instances where a driver reaches eight points without having their license suspended. Arizona, under A.R.S 28-3306, allows certain drivers the opportunity to attend a Traffic Survival School in lieu of license suspension. The length of suspension varies depending on the severity of the offense, but will generally not exceed one year. However, the max, full year suspension is common, especially with DUI offenses. There are special cases where a license suspension can exceed a year, but these are largely limited to fatal accidents and extreme DUI’s- over .15 blood alcohol content. Of course, if you believe your license was suspended in error, or if the offenses raised against you can be challenged by an experienced defense attorney, that option is always available. Unfortunately, this defense process is distinct from the court hearing which passes down the license suspension and corresponding punishments, because matters of license reinstatement fall under the jurisdiction of the Motor Vehicle Division. Because this hearing is completely separate from the main trial, the Motor Vehicle Division judge already presupposes the driver’s guilt in receiving the suspension. 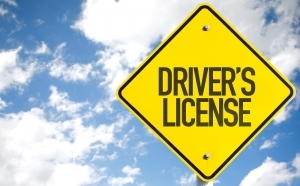 Thus, a driver who wishes to challenge a license suspension must gather evidence which either provides proof of intervening circumstances during the offense in question or provide proof of extreme hardship with the absence of a license. For instance, a student can show that their only method of transportation to and from school is driving, and the MVD judge may show mercy. A revocation cannot last longer than one year, save for the heinous crimes mentioned above. The examination of the information must find a clean twelve month driving record prior to the application, along with all other required statutory requirements. If the revocation involved drugs or alcohol, the driver must obtain an evaluation from a licensed physician that substance abuse will not affect future driving proficiency. Even if you meet these above requirements, the MVD may still decide to deny your application. If this occurs, there are two options available. The first is to request a formal hearing, identical to the suspension hearing detailed above. The second is to simply wait another year to reapply, the worst possible scenario. 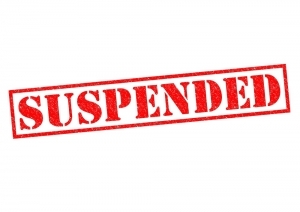 Driving with a suspended or revoked license is never a good idea in the state of Arizona. Being caught driving with no license or a suspended license can substantially increase the length of the suspension term, and even lead to a prison sentence of up to five years. However, the inflation of the suspension is not uniform, but predominately based on the underlying reason for the original suspension. Thus, someone who is caught on a suspended license for not paying parking tickets may get a more lenient evaluation than someone whose license was suspended on a DUI offense. Regardless, driving on a suspended or revoked license constitutes a Class 1 misdemeanor in the state of Arizona, punishable by up to six months in jail and a 2500 dollar fine. Also, under certain conditions, the police can impound your vehicle if caught. See the Arizona Department of Transportation’s page on license revocation and suspension. If your MVD investigation is successful, the driver will receive a Permission to Apply notice. A Permission to Apply notice allows the defendant to reapply for their license. To do so, bring your proof of permission to your local MVD office and fill out the application. There will be a twenty dollar reinstatement fee in addition to between ten and twenty five dollars for the application fee, depending on age. 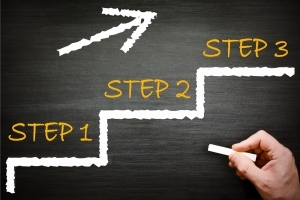 Additionally, if the offense was alcohol or drug related, you will be required to provide proof of future financial responsibility, an insurance form known as an SR-22. 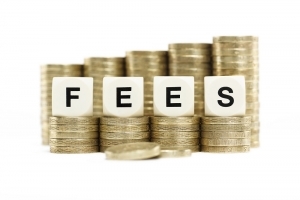 It must be noted that these fees do not include those associated with actually obtaining a new license. When a license is suspended or revoked, applying for a release of suspension does not revive your old license, but rather provides you with a new one. Thus, the myriad fees associated with obtaining a new license will be in effect. Additionally, you may also be forced to retake the driving test, vision test, and written test. A final option for drivers who wish to prevent license suspension is a Driver Improvement Program. In some cases, judges will allow drivers to wipe three points off of their record by attending said program. These three points will usually bring the driver below the eight points required for suspension, thus nullifying it. If all else fails, you may request a re-hearing at the executive hearing office in Phoenix at address: 3737 N 7th St., Suite 160. You may also appeal the decision through the Arizona Superior Court. Regardless of the situation, license suspension or revocation is a huge hassle for anybody subject to it. If you believe you have the ability to overturn the suspension or even obtain a temporary driver’s license, contact an experienced defense attorney. Even without a preponderance of formal evidence, an attorney can provide proof of hardship and reliably obtain that temporary license. Interested in learning more about license suspension in the state of Arizona? We’d love to hear from you! Comment below or reach out to us on our social media channels. 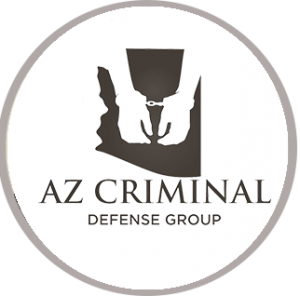 If you need criminal defense assistance regarding license suspension or revocation in the state of Arizona, contact an experienced defense attorney today.